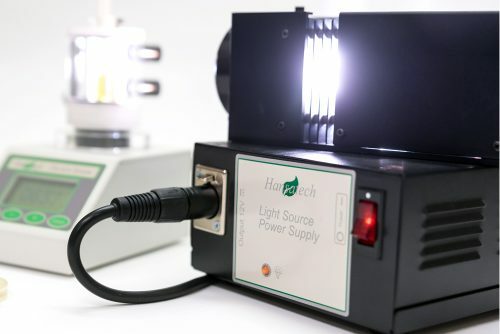 Hansatech Instruments light sources have been designed to accompany the range of oxygen electrode chambers and control units in order to allow optimum performance and repeatability of measurements of photosynthesis and respiration. 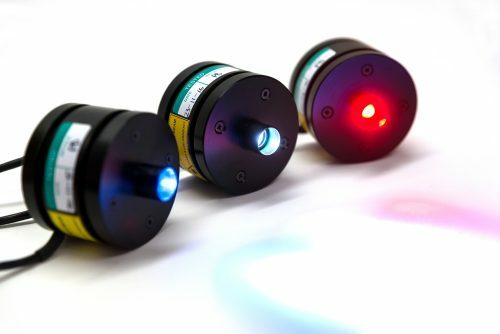 Light sources are positioned either directly or connected via fibre-optic cables to optical ports on the electrode chambers ensuring optimum sample illumination. 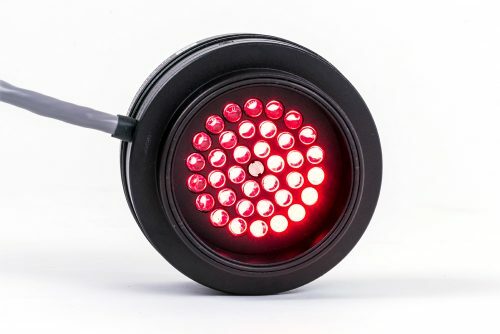 Hansatech Instruments LED light sources provide red illumination centered on 650nm with an HBW (Half Band Width) of ± 25nm which is automatically controlled via the Oxylab+ control unit. LED’s have the advantage of low heat output, rugged construction, long life, intensity adjustment without the need for optical filters and a fast rise to full intensity (milliseconds) negating the need for electronic shutters in fast fluorescence work. The LS2 high intensity white light source contains a cooling fan, infra-red reducing “Hot mirror” and optics to provide light with minimum variation of intensity across the beam and little divergence from parallel. Automatic intensity control is not possible with the LS2. Attenuation of the light intensity is achieved by placing combinations of neutral density filters across the beam.